Unbeaten G3 Acomb Stakes victor Wells Farhh Go is one of six second entries for the world's premier Classic, the G1 Investec Derby, at Epsom Downs on Saturday, June 2. The total number of entries for the Investec Derby, run over a mile and a half, and Britain's richest race worth at least £1.5 million, rises to 135. Wells Farhh Go (Tim Easterby), by Farhh out of a Galileo mare, raced twice over seven furlongs at York in 2017, following up a comfortable debut success in July with a thrilling nose verdict from James Garfield in the G3 Acomb Stakes at the Ebor Festival in August. He is a 50/1 chance for Investec Derby glory with Unibet, official betting partner of the Investec Derby Festival. Top French handler Andre Fabre has added Rabdan (25/1). Owned by Al Shaqab Racing, the homebred son of Frankel created a striking impression on his second start when taking a 12-furlong Saint-Cloud maiden by nine lengths on April 2. Newmarket trainer Hugo Palmer has two made second entries to the Investec Derby in Lope De Vega colt White Mocha (66/1) and Dawn Approach colt Fajjaj (50/1). White Mocha was successful on two of his three starts last year, including the historic Haynes, Hanson & Clark Conditions Race over a mile at Newbury. The twice-raced Fajjaj captured an Ascot seven-furlong maiden before finishing a staying-on fourth at the same distance in the G3 Tattersalls Stakes at Newmarket. Palmer explained: "White Mocha was an exciting two-year-old, but everything he did, he did with the promise of this year. "I have been very happy with how he has wintered and the chances are that he will probably reappear at the Craven Meeting (Newmarket, April 17-19), conceivably in the Craven Stakes (G3, 1m, April 19) itself, but possibly in the Feilden Stakes (Listed, 9f, April 17). "He has a stout German pedigree on the female side and you would think Lope De Vega would give him a chance of staying at least a mile and a quarter, although his work suggests he has the speed for a mile at this time of the year. "Fajjaj just had the two starts at two and is a big, scopey horse. 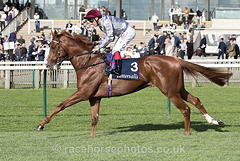 He has more of a milers' pedigree - his sire Dawn Approach ran in the Derby and didn't stay - so we will have to see. "I think Fajjaj will be at least a 10-furlong horse. He is doing everything right at the moment and I have put him in the Dante (G2, 10f, York, May 17). 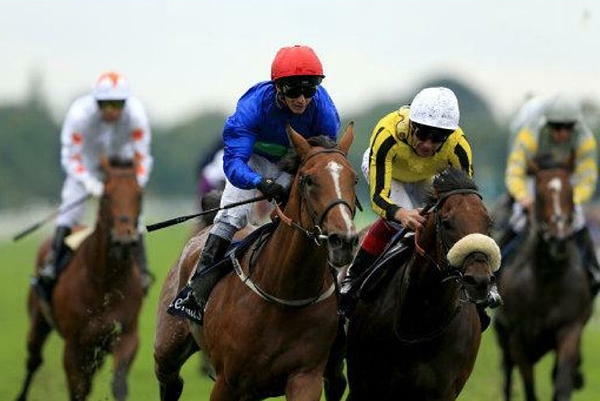 Godolphin's famous royal blue silks have yet to be carried to victory in the Investec Derby. Sheikh Mohammed's operation has one second entry courtesy of another Farhh colt, Bedouin's Story (Saeed bin Suroor, 100/1), who ran once last year at Newmarket. Miles Christianus , an unraced son of The Carbon Unit owned and bred by Thistle Bloodstock, completes the six second entries for the 2018 Investec Derby. It cost £9,000 to be a second entry for the 2018 Investec Derby, which has a scheduled off-time of 4.30pm on Saturday, June 2. A maximum field of 20 three-year-olds can line up. Ed Nicholson, head of Unibet racing's communications, commented: "Some interesting colts have been added to the Investec Derby at the second entry stage, including Rabdan who Unibet have introduced into their Investec Derby betting at 25/1, the joint eighth favourite. "Andre Fabre's Frankel colt impressed us recently at Saint-Cloud and it will be interesting to see where the master trainer goes with him next. That race was just a maiden, but Rabdan did it in great style and showed the mile and half will not be an issue for him come the first weekend in June." The next stage a horse can secure an entry for the 2018 Investec Derby is by winning the 10-furlong trial at the Investec Spring Meeting at Epsom Downs on Wednesday, April 25. This year the race has this been upgraded by the European Pattern Committee to Listed status and will be called the Investec Blue Riband Trial. It will run this year in memory of Anthony Cane, a former Chairman at Epsom Downs Racecourse, who passed away earlier this year. The final entry stage for the Investec Derby is the five-day confirmation stage on Monday, May 28, where horses can be supplemented at a cost of £85,000. The Investec Derby is part of the QIPCO British Champions Series. *Finished seventh in a seven-furlong maiden at Newmarket in October, his only start to date, being slow into stride and then racing too keenly. *90,000 guineas foal from the family of G1 winner Crystal Music. *Picked up well to win a seven-furlong maiden on debut at Ascot on September 9, before finishing a staying-on fourth behind Elarqam in the G3 Tattersalls Stakes over the same distance at Newmarket on September 28. *Dawn Approach colt from the family of top-class performers Kingman and Oasis Dream. *Unraced son of The Carbon Unit, owned and bred by Jimmy Long's Thistle Bloodstock Ltd.
*Made encouraging return to action at Saint-Cloud on April 2, when winning a 12-furlong maiden by nine lengths on heavy going. *Finished a promising second on his only 2017 start in a 10-furlong maiden at Saint-Cloud. *Dam, Shotgun Gulch, won a US G1 on dirt over seven furlongs, after which was she was purchased for $1.6-million by Al Shaqab Racing. *Unbeaten in two starts so far, latterly defeating subsequent G2 victor James Garfield by a nose when taking the lead on the line in the G3 Acomb Stakes over seven furlongs at York in August. *Won a median auction race over the same course and distance on debut at July 28, again by staying on strongly. * Ridden both times by David Allan. *From the first crop of Godolphin's 2013 Champion Stakes victor Farhh. *16,000 guineas purchase at book three of the Tattersalls October Yearling Sale. *Beat fellow Investec Derby contender Knight To Behold by a nose in the Haynes, Hanson & Clark Conditions Race at Newbury on September 22. The mile contest has produced four Derby winners since its inception. *Scored by a head on debut at Haydock Park in August before going down by a neck in a novice event at Salisbury in September, both over a mile. *90,000 guineas yearling and a half-brother to G3 winner Melesina.